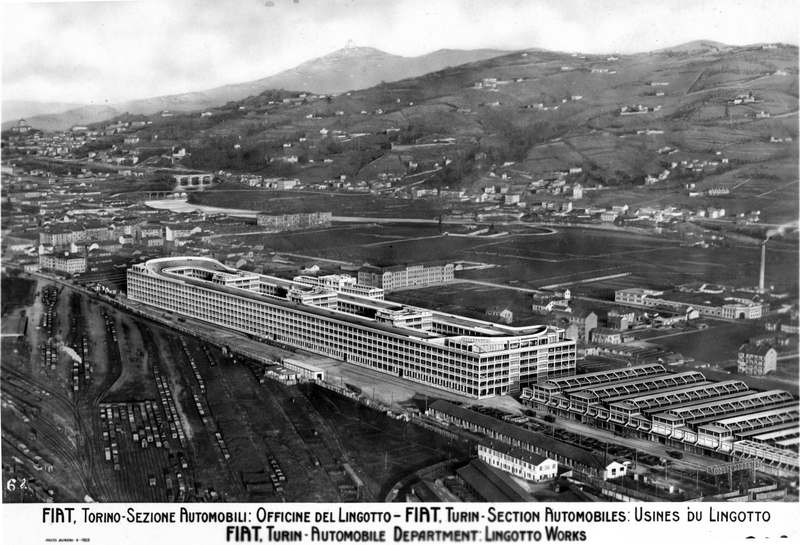 Fiat’s Lingotto factory in Turin Italiy was built between 1916 and 1922 and the project and works management were entrusted to the engineer Giacomo Mattè Trucco. 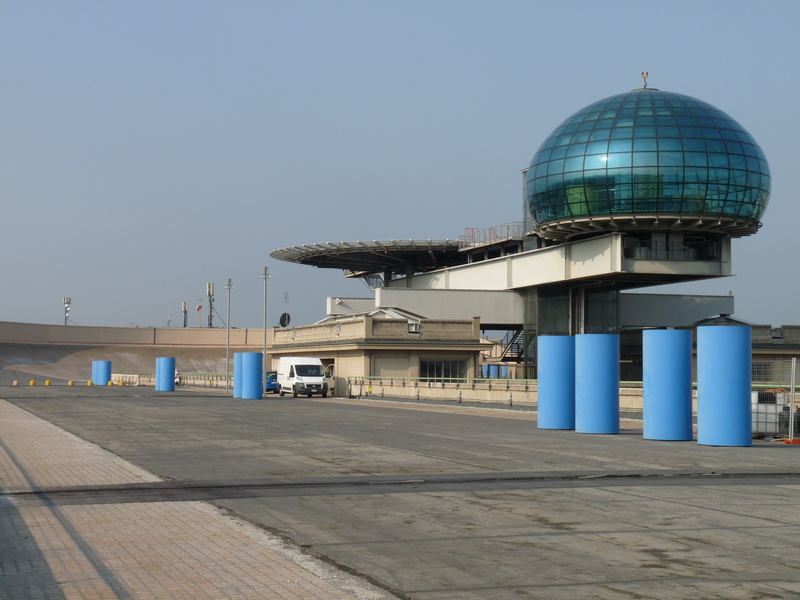 The workshop is formed of two longitudinal bodies, each 507 meters in length (about five football fields) by 24 meters wide, joined together by five transversal bodies. 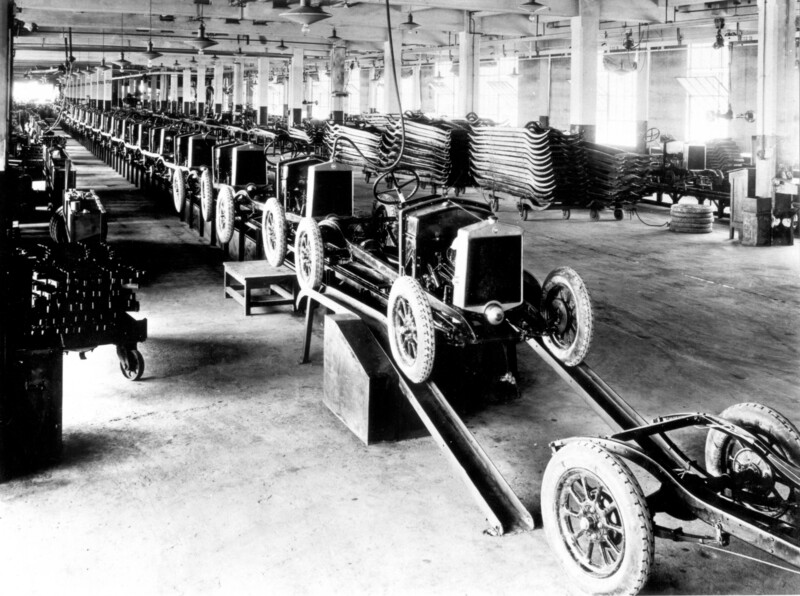 The long body housed the different car processing stages. As soon as the cars left the assembly lines they could flow directly upward to the test track through the elicoidal (snail shaped) ramps completing the whole processing cycle inside the factory. 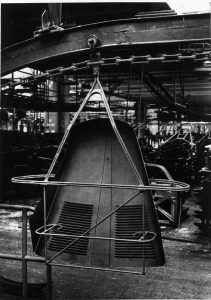 The factory’s best known symbol is the test track, which is a superb piece of design modelling, and construction that occupies the whole roof surface of the workshops. 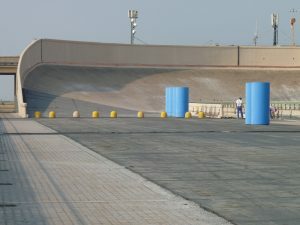 Two 443 metres straights, joined by parabolic bends, form a continuous track for testing the cars. Restored in 1993 it is today a pedestrian area used by the public, although automobiles do use it in exceptional cases. 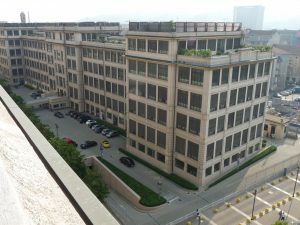 On the roof in recent years were built an Heliport, a prestigious meeting room called the Bubble and a photography gallery which develops vertically on six level. The highest level houses a permanent collection of masterpieces of Giovanni and Marella Agnelli. The Office Block (headquarters) was built in 1926 in front of the factory, to house the management and administrative dept. 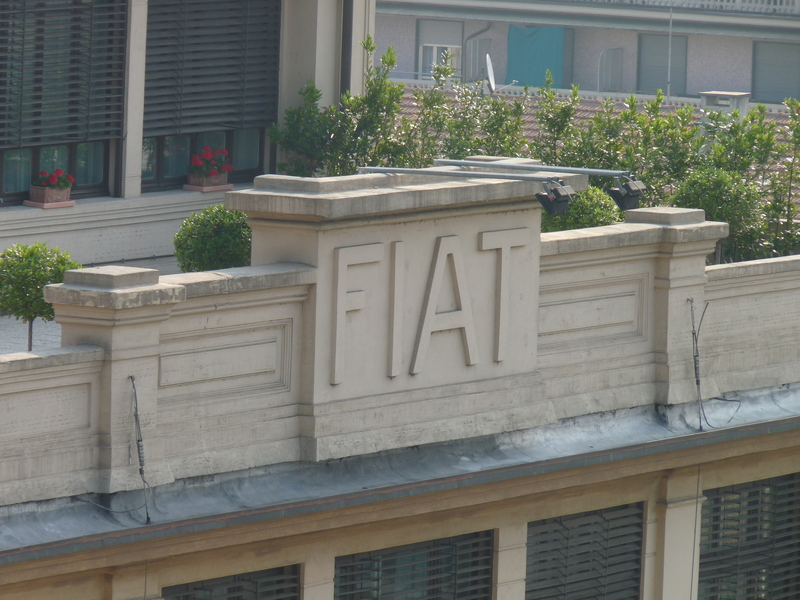 In 1997 the Fiat General Management returned to this Office Block, restructured by the architects Roberto Gabetti and Aimaro Isola. The building preserves inside the grand staircase and the historic Boardroom. 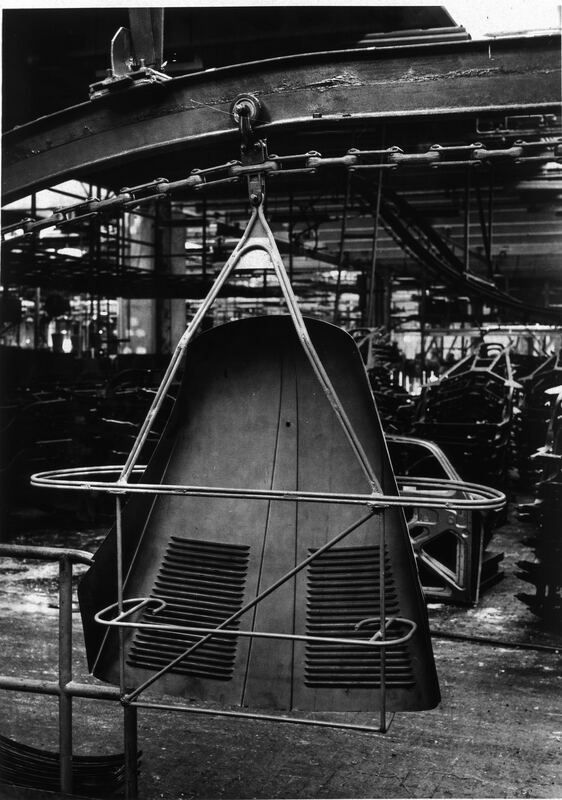 Vehicle production ended in 1982 and in almost 60 years 80 car models and 35 different types of engine as well as commercial vehicles, components and household appliance were produced. Over time, considerable movie and television production has been filmed at this famously unique location; its clearly visible in the original production of the movie The Italian Job, starring Sir Michael Caine. 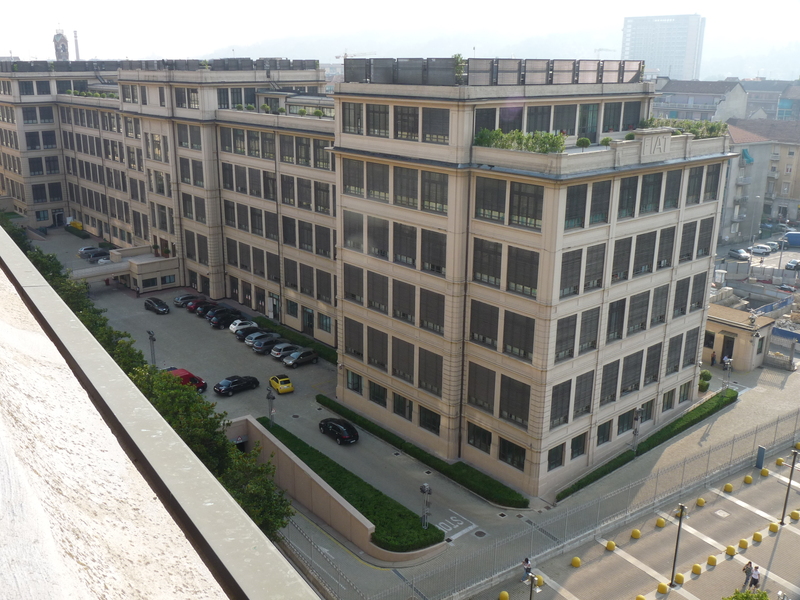 Soon after the Lingotto factory was closed, then started discussion of possible new uses of the building. 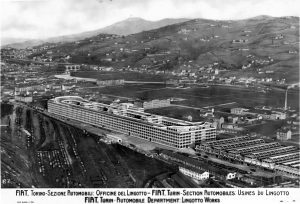 In carrying out this great architectural design, a proper balance was sought between preserving the identity of a factory that had been one of the major monuments in Italy’s industrial development and a capacity to provide for a future role. 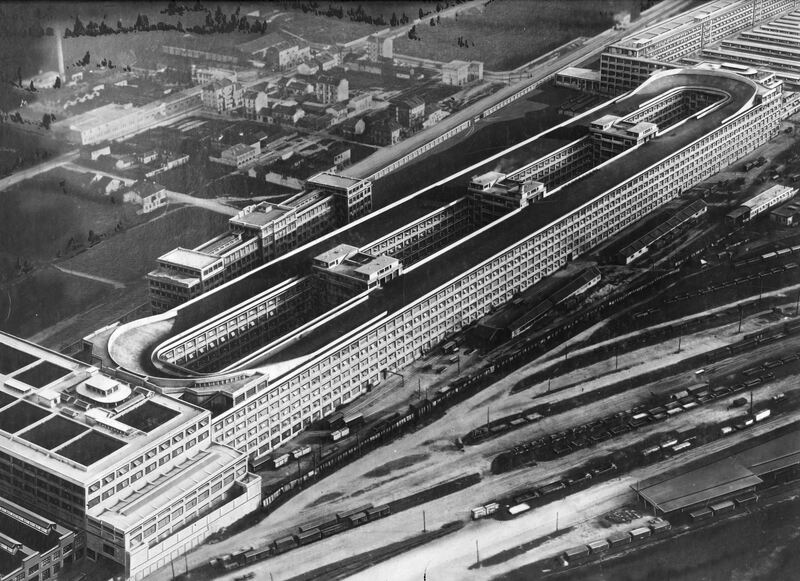 The restoration carried out by the architect Renzo Piano took 12 years: now the factory is an articulated and complex structure that hosts two hotels, an auditorium, a conference centre, an exhibition area, shopping mall, cinemas, polytechnic’s automobile engineering degree course and the dental school. By now you may be thinking “hmmm…a vehicle test track six stories high, on the roof of a building…what could possibley go wrong?” Amazingly enough, due to the relatively low speeds of many of the earliest Fiat car models, and the high safety walls built around each of the 180 degree turns, never did a single car drive off the roof onto the ground below. The test drivers were perhaps highly professional, very careful, or rally scared. This angle shows the steepness of the parabolic curves at each end of the track…take THAT Talladega!